Sold in pairs, choose from bead-rolled aluminum or steel, easy-to-assemble tubs. 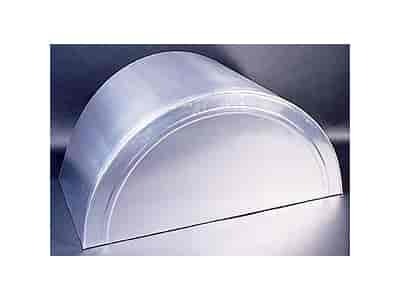 Aluminum pieces are covered in removable vinyl & packed in sturdy wooden sheets for safe delivery. 40525 - Jegster Wheel Tubs is rated 3.8 out of 5 by 4. Rated 4 out of 5 by Jesse G from OK, if you don't mind putting together I found it odd when they came in a flat carton instead of a box... Long story short, they do not come pre-assembled like illustrated in the picture. my fabrication guy had to put them together and unfortunately it takes time to have to do that. So yeah they get the job done, but not at all what I was expecting. A 33&quot; x 16&quot; tire will fit in the wheel well depending on how it is mounted.